Cincinnati is currently taking on Georgetown in the quarterfinals of the Big East Tournament. And they look ridiculous (see above photo). It worked yesterday: Cinci beat Providence wearing the black, Zubaz inspired shorts. 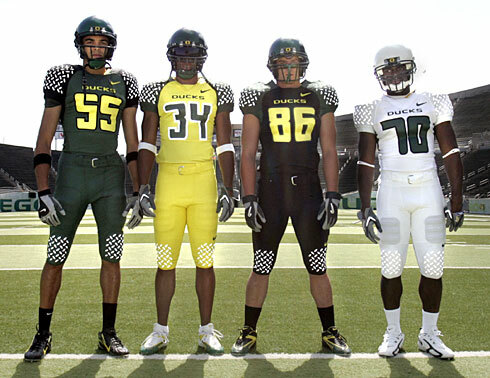 Adidas is going the Oregon football route with their latest foray into uniforms. Kansas, UCLA, and Louisville (among others) will be donning the crazy unis throughout March. I just hope Georgetown isn&apos;t too repulsed, I picked them to win the Big East Tournament.